This is a well-crafted, impassioned discussion of creativity that should make a real impression. Creativity is shared by many, but the process of creating is little understood and often mysterious. 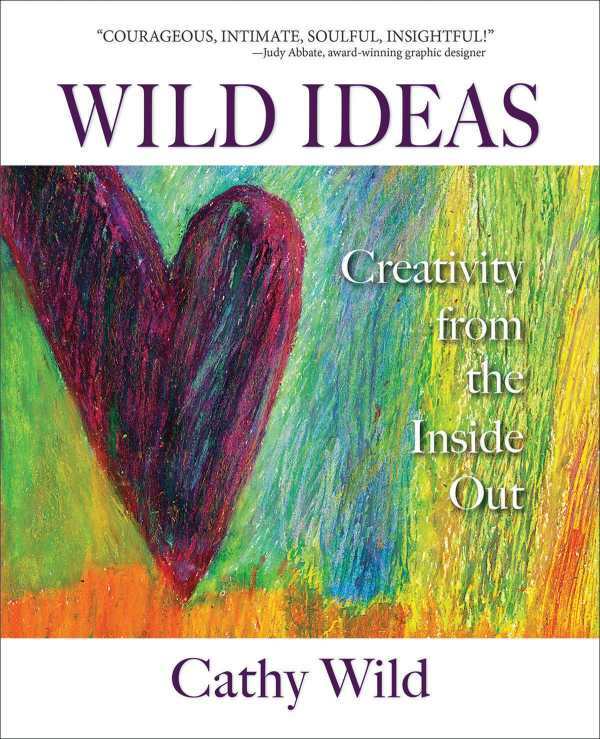 In Wild Ideas, Cathy Wild, a writer, painter, and creative counselor, explores her own creativity, cleverly describing it in the context of writing the book itself, while sharing her thoughts on the creative process in general. These deep insights should benefit any fellow creator. The book is divided into seven parts, each representing a “stage” of the creative process: “Feeling Inspired,” “Getting Started,” “Hitting the Wall,” “Going Deep,” “Working Passionately,” “Finishing,” and “Stepping Out.” Within each stage are five discussed “qualities,” such as “risk,” “courage,” and “compromise,” as well as questions for reflection. The structure of Wild Ideas is unusually creative in that it enables one to read the book from start to finish or to select any one or more self-contained parts and read them separately. Either way, the book makes sense. Within each part, Wild is unafraid to expose her own vulnerability, discussing troubling aspects of her past, the difficulty of writing the book, and the general challenges of creativity. She also shares the stories of some of the creative people she has counseled. Her own story, alongside those of others, lends a very intimate, personal aspect to the content that complements the broader discussion of creativity. In general, Wild does a masterful job of portraying creative qualities; limiting the verbiage to very brief segments, the author manages to capture the essence of each. About “discovery,” she writes, “The essence of discovery lies in trusting your attraction to the odd idea, image, or impulse.” About “compromise,” she says, “Creators who demand perfection, who lack the flexibility to make adjustments in their expectations, will rarely finish anything.” Such eloquent observations demonstrate a deep understanding not just of the creative process but of creative people as well. Clearly, these kinds of questions delve into more than just being a creator—they encourage a great deal of self-analysis. As a result, the content of the book extends beyond the specific discussion of creativity and into a more general exploration of one’s own psyche. “Every creative journey plunges us into mystery,” Wild says. Wild Ideas, however, is no mystery; it is a well-crafted, impassioned discussion of creativity that should make a real impression on every reader.